The Friday Night Haunted Tour. His great friend and primary biographer, John Forster, said of Charles Dickens that he had "a hankering after ghosts"; and, if the truth be told, there is no better City than London in which to hanker after ghosts. The old City streets are, after all, steeped in history and have witnessed nigh on two thousand years of the comings and goings of billions of residents. Some of those residents, it would appear, find the allure of this great City so utterly appealing, that they have chosen to linger on as spirits. And who can blame them? For, as Dickens observed in his Sketches By Boz , "what inexhaustible food for speculation, do the streets of London afford"; and that sentiment could be doubly applied to the haunted thoroughfares of spectral London. 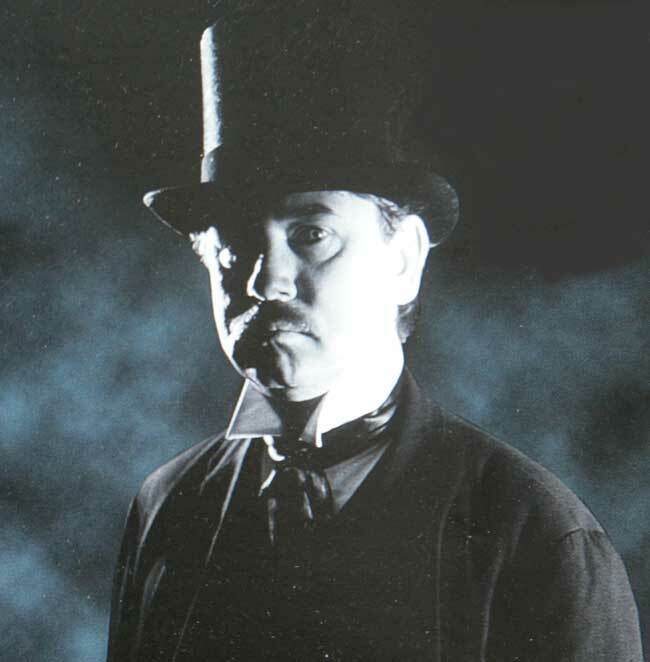 So, on Friday nights at 7pm, London's longest established ghost walk guide, Richard Jones - he's been ghosting around the haunted City since 1982 - dons his trademark Victorian undertaker's outfit, and makes his way to The Lord Raglan, one of London's haunted pubs. Here, he gathers his audience of fearless chill-seekers and leads them on a fascinating journey through the haunted recesses of the ghostly City. As the author of over 16 books on the paranormal, Richard is widely acknowledged as London's best haunted tour guide and, in his company, you can look forward to an hour and forty minutes of spine-tingling ghost stories, told at some of the City's most historic, atmospheric and haunted locations. Richard is a masterful storyteller and a commanding orator. He possesses the skill and the expertise to be able to deliver a ghost story with impeccable timing, and in a way that is both entertaining and chilling. In short, he combines the knowledge of a dedicated and knowledgeable researcher with the theatrical presence of a born performer and an engaging raconteur. Who better, then, to lead you on a journey into the hidden backstreets of haunted London? 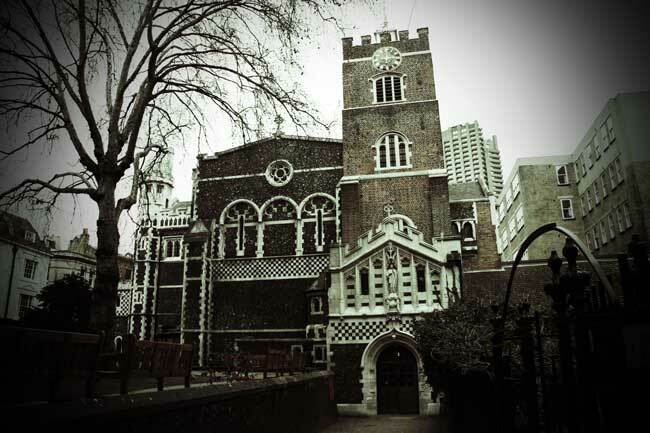 Moments after setting out into the chill of the evening, you will find yourself passing along a creepy alleyway, that runs alongside the crumbling wall of a ruined church, at the end of which you will step through an iron gate to enter a churchyard that has the dubious distinction of being one of London's most haunted burial grounds. Now, on the whole, ghosts don't tend to appear in graveyards. After all, a graveyard has no connection with their living, breathing, lifetime selves. Indeed, it is more a reminder of what they have become, rather than what, or who, they once were! But, if you happen to have been a Queen of England who, having been instrumental in the murder of your husband, had then attempted to dodge divine retribution by asking to be buried disguised as a humble friar - a wish that was never granted - then you might feel compelled to return to the place of your torment, if for no other reason than to attempt to rid yourself of the accursed heart of said murdered spouse with which you have been condemned to lie for evermore! So, as day draws to a close, you will gather in the very burial ground that said Queen lies near (we don't know the exact location of her final resting place) and we will wait nervously to see if she will grace us with an appearance. Having awaited her arrival for as long as time - or our nerves - will allow, we will shuffle off along a ragged road of infamy and make our way to our next chilling location, where we will stand beneath an ancient church tower from which a 17th century nobleman leapt to his death and, in so doing, set in motion a family curse that is still going strong today. You'll hear the full story as you stand and look up at the soaring tower as you picture the bygone noble clambering onto the balustrade, crossing himself and then flinging himself into the hereafter. 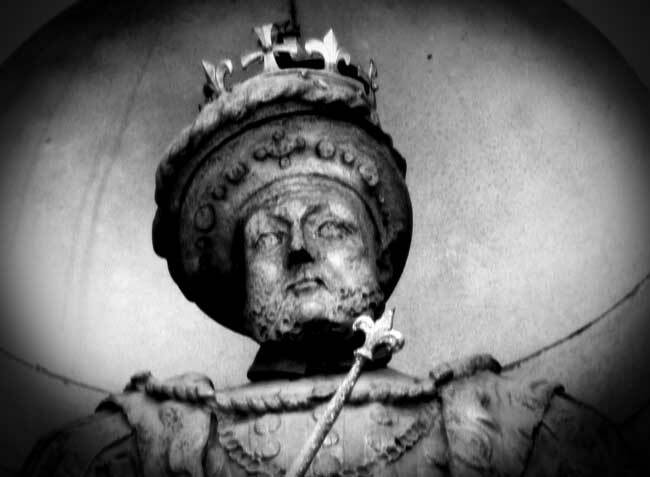 Richard is fully up to date on this particular ghost story as he featured it in his book Haunted Britain and got the story of the most recent manifestation of the curse from the nobleman's descendants. Having regaled you with tales of curses and consequences, Richard will draw your gaze to the square across the road, over which once loomed the imposing bulk of one of London's most infamous and notorious prisons. It was in this square that countless men, women, and children, danced the hangman's jig at the end of a rope. Inevitably, the spirits of some of those who faced the crowds here - yes crowds as executions were considered a cracking form of public entertainment - did not take kindly to the sudden and brutal cessation of their existences and have, therefore, been known to return to the spot as spectres. You'll hear their stories as you keep a wary eye peeled for their returning shades. Now, let's be honest, is there a better type of pub than a haunted pub? For that matter, could there be a better place to return to as a ghost than a pub? Well, across the road from "Execution Square" there stands a hostelry that has the reputation of being the most haunted pub in the City of London. 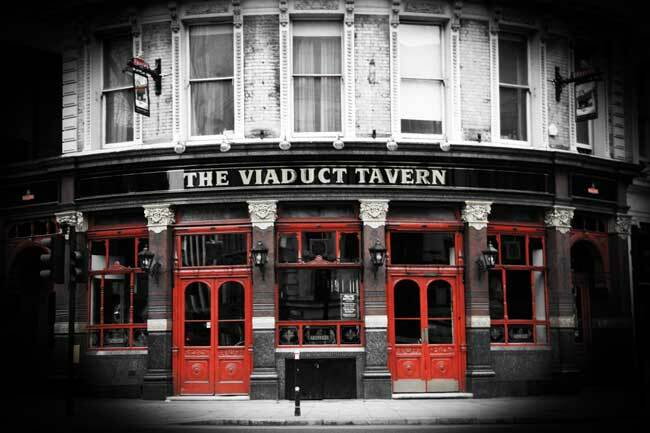 Richard first began collecting ghost stories about this pub when he worked in the building next door and this hostelry was his local. Since then he's seen generations of landlords and landladies come and go, some, it is rumoured, even driven out by the ghost. But, almost every one of them encountered the ghost of..... well, to be honest nobody knows whose ghost it is and, as a consequence he, or she, is known simply as "Fred", which, if it is a she, might account for its habit of overturning tables, throwing things around and making a decided nuisance of itself in the ladies toilet! Although you won't actually visit the pub on the tour, when we finish you will be just around the corner and Richard will happily give you directions so that you can return after the tour to enjoy a drink and, if it's not too busy, be allowed to visit the cellar from which much of the ghostly activity appears to emanate. Next up, we delve into the backstreets of the haunted Metropolis to uncover the corner where the Great Fire burnt itself out in 1666. What could possibly be ghostly about that? You might ask. Well, since you did ask, Londoners sought a supernatural reason for the devastation the fire had wrought upon their City and they came to see it as Divine retribution for the sin of gluttony. 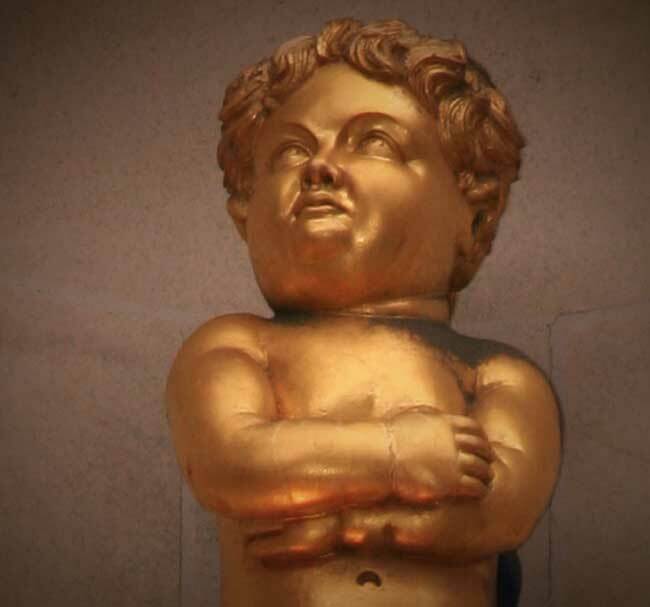 They, therefore, and for reasons we'll go into on the walk, placed a fat boy at the spot where it burnt out and adorned him with an inscription that would warn future generations of the consequences of overindulgence. So much more subtle than a sugar tax, don't you think? Alongside the "prodigiously fat " boy, is a cobbled thoroughfare in which Richard will regale you with the story of a ghost that became so famous that Charles Dickens referred to it in A Tale Of Two Cities. Richard has been regaling his audiences with this tale for over 30 years, so he's had plenty of time to hone his delivery to ensure that it mingles fear and fascination to serve up a chilling cocktail of supernatural storytelling. 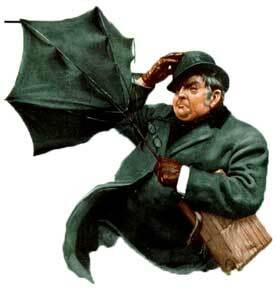 This is a fantastic ghost story - one that manages to chill and amuse in equal measure. Indeed, you will be forced to stifle a guffaw when you hear that this ghost became known as.... well you'll hear all about it on the ghost walk! Pushing on into the London night, we make our way past the building from the roof of which Benedict Cumberbatch as Sherlock "apparently" leapt to his untimely death at the end of series two of the BBC's cult show. You'll be able to pay homage to his memory as you walk over the very spot where his broken body lay sprawled across the cold flagstones. We then encounter London's only outdoor statue of Henry V111, looking down from a lofty perch on which he has balanced regally for over three hundred years. Behind him stretch the buildings of London's oldest hospital, the origins of which stretch back almost a thousand years into the mists of London's past. That, if you think about it, is plenty of time to amass an otherworldly population of restless revenants, and this place doesn't disappoint, as ghosts aplenty are known to lurk behind its ancient façade. The most bizarre piece of paranormal activity to which this ancient foundation is prone is the haunted elevator which, from time to time "behaves" in a very strange way - for an elevator at least - when people step into it in the early hours of the morning. Why it does what it does, we simply don't know. We have to, therefore, just accept that it does what it does, and then move on to a section of London where we can be more assured of the origins of its paranormal activity. You see, the square into which we go next was, for many centuries, another of the City's execution grounds. Hangings, burnings and beheadings have, over the years, all contributed to its ghostly populace of restless revenants. But, the execution that will really make you sit up and take notice - or, in our case, stand up straighter and take notice - will be the discovery that it was here that William Wallace - Braveheart no less - was hanged, drawn and quartered here in 1305. 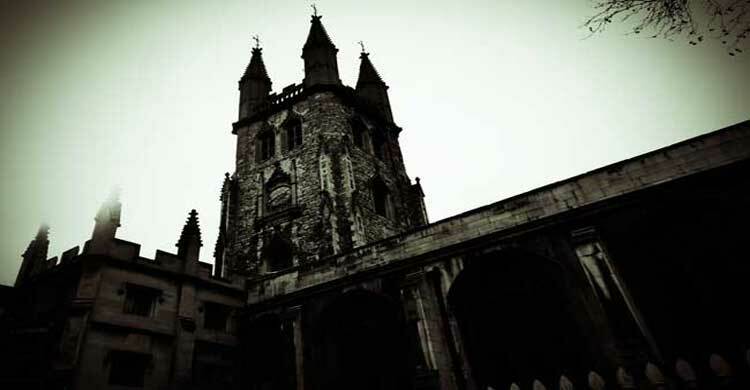 Eerie twilight will, by now, be handing over to descending darkness as we step beneath the black and white timbers of a Tudor - A TUDOR - gatehouse to enter a truly creepy churchyard, over which looms the majestic splendour of London's oldest parish church. Needless to say, with close to a thousand years of history crackling away behind its dark, flint walls, this church is the residence of one or two spooks. Chief amongst its spectral populace is the ghost of its founder, who is not going to let a little setback like death distract him from keeping a tactful eye on the comings and goings of his church. It's also one of the locations at which those on the tour have managed to capture a certain spectral something on photographs they have taken of the old church. Leaving the churchyard to its specters and shadows we move on via some truly atmospheric backstreets, encountering as we go, a haunted pub that was plagued by the body snatchers in the early years of the 19th century; a dark and sinister courtyard which makes the perfect backdrop against which Richard will act out the events behind 19th century London's strangest ghost story; and a tucked away building which is another location where people on the tour sometimes go away with what could possibly be evidence of paranormal activity. This all brings us to our grand finalé; as we pick our way along an earthen path to stand beneath the remnants of the old walls of London. Begun in Roman times, and added to by successive generations, these walls take us back to the beginnings of the City. What secrets are they privy to? What tales of dark deeds and atrocious acts can they tell? 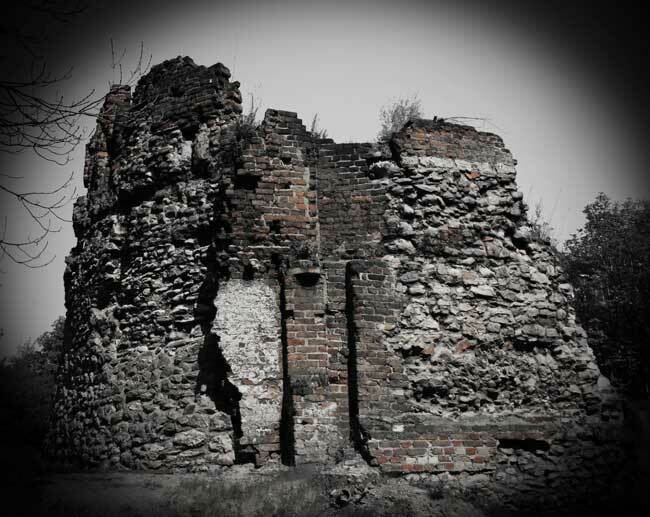 The walls themselves might remain mute, but Richard will be on hand to regale you with chilling tales of some of the strange things that have happened in this almost forgotten quarter of old London. Finally, we will emerge from our encounter with bygone London blinking and footsore (not that footsore though) to make our way back to the pub outside which our evening began. Less than two hours will have gone by, but our journey will have taken us through two thousand years of chilling and thrilling history. And, should you so desire, you can even end your evening with a meal at the Lord Raglan, or, if you still have the wherewithal to confront the spirits head on, you can make your way back to the haunted pub we encountered earlier and descend into its cellar for an audience with "Fred" the ghost. When planning your journey to the start of the Friday night ghost tour, please allow 3 minutes for every station you will be through and then add 10 minutes to allow for any travel delays. I'm so fond of the area we explore on the Friday night ghost walk. This is, after all, the area that inspired me to found my tours and where I spent two years working as a postman in order to pay my way through the learning process. 33 years later and I'm still as enamored with the area as I was all those years ago. The walk's got everything. 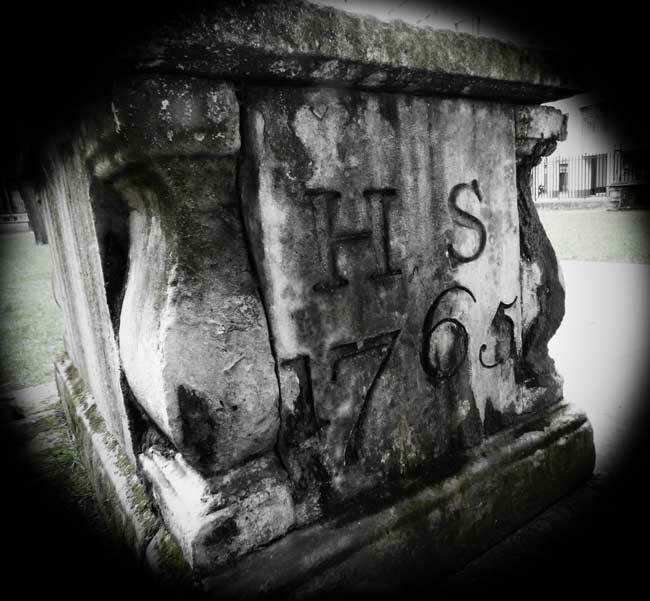 Great history, lots and lots to look at, truly atmospheric churchyards, terrific ghost stories and, for me at least, plenty of fond memories of the thousands of people who've joined me on walks around this fantastic quarter of London. I promise you that, when you discover these places, and absorb their ambience, you'll walk away from the tour as enamored with the area as I still am. The Dickens and Shakespeare Tour can be booked as a private tour for your office social, tour group, or even as an outing with a difference for a group of friends or relatives.